I am a salaried employee. Apart from salary income, I have an interest income of approximately ₹ 1.2 lakh from a fixed deposit. I have also used the facility of overdraft against this fixed deposit to manage my short-term cash needs for my personal expenses. The interest debited to my account during the last fiscal year is ₹ 24,355. I want to know if I can deduct this interest expended from my interest income for tax purposes. I have two houses. 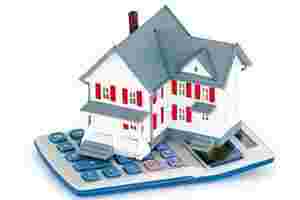 How can I get tax exempt for two home loans? Can I show nominal rent as income by not renting out one of the houses and by self-occupying the second one and claim exemption on both loans? As per the provisions of section 23(2) of the Income-tax Act, any property which is occupied by the owner for residential purposes is treated as self occupied property and the gross annual value is taken to be nil. Further, section 23(4) of the Act provides that in case the assessee holds two such properties, then only one property is treated as self occupied property at the option of the assessee and the other one is treated as deemed to be let out. The gross annual value of the property deemed to be let out is taken to be the sum for which the property might reasonably be expected to let from year to year. As per the provisions of section 24(b) of the Act, in case of self occupied house property, interest payable on home loan is allowable as deduction subject to maximum limit of ₹ 1.5 lakh provided the loan is taken on or after 1 April 1999, for the acquisition or construction of the house property and such acquisition or construction is completed within three years from the end of fiscal year in which the loan is taken. Further, in case of property which is deemed to be let out, the entire interest payable on house loan taken for construction or acquisition should be allowed as deduction.